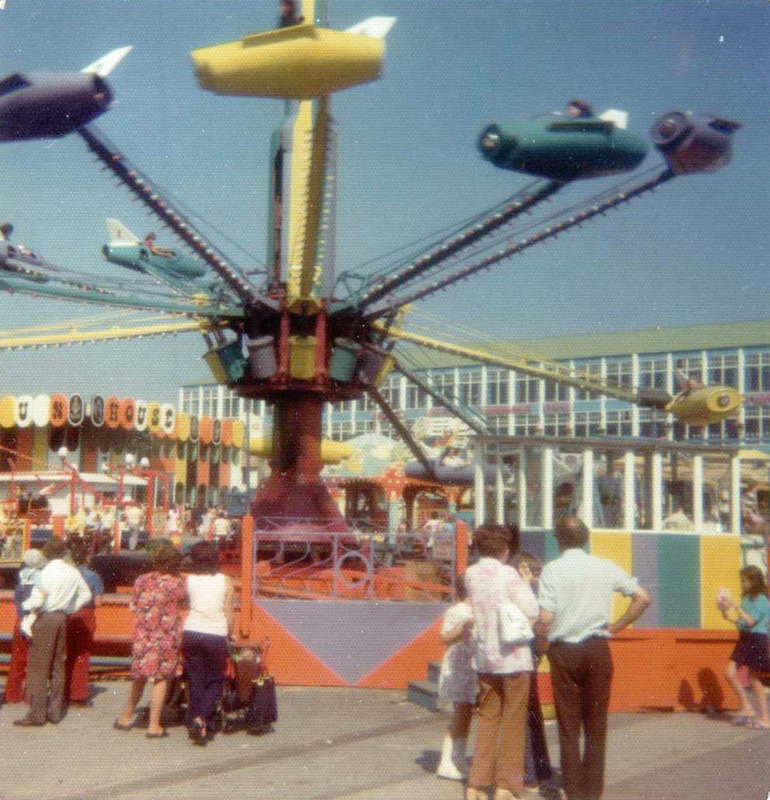 When she first arrived at Barry Island Pleasure Park she wasn’t that impressive. 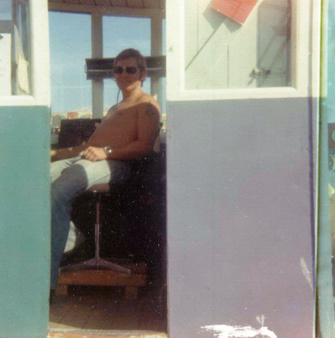 Sat in the pay box of the Vampire Jets I kept glancing behind me watching the build up of the new Twist. Piles of bare steel, a bare metal centre, even the twist cars were a sorry sight - fibre-glass seat shapes and bare metal framework. So this was it – all 18 grand of her. Bit of a rip off I thought – you could buy a house for that (well, you could in 1975). As with all new arrivals the men/boys who work the fair gathered around watching the ride being put together piece by piece. From the jets pay box, I watched the birth of ‘Tw 101’, made by John Wall of Walldren Engineers. In my mind there really was no comparison …the Vampire Jets was a massive, solid, ‘in your face’ machine. It was a ride of speed, but it was the continuous noise given out by the compressor that held your attention. Air forced into the cylinders pushing the jet cars skywards and then discharging with resounding angry bursts of released energy. Young children would take a step back, their eyes wide, mouths open seeing this beast of a ride snort and hiss like a captive dragon. Once the ride reached full speed, with jet cars rising up and down I would push the lever forward putting the Jets onto full tilt. 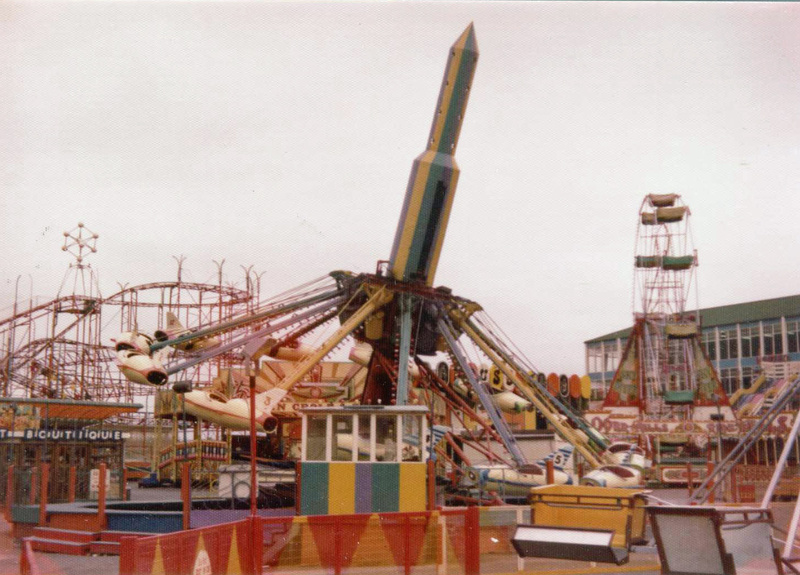 There was always a loud bang, a good attention grabber for what was to come – the whole centre of the ride would shudder and shake and begin to rise. Held back by metal arms, it would rise higher and higher, tilting over at a horrifying angle. But this dragon could not escape, puffing and hissing it had reached as far as it could go. I would release the tilt lever and cut off the air supply and now the dragon could do nothing except descend slowly back down to the ground and gradually draw to a halt. 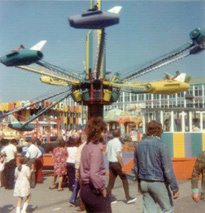 Top: Vampire Jets 1974 Barry Island. Bottom: The Jets on 'static tilt' in 1975. Click on an image to view larger version. There she was, Tw 101, coming together piece by piece. It resembled a massive flat pack but I don’t think IKEA was around in those days. The ‘first’ build of a ride is always the slowest but in essence it never really takes that long on the fairground. With no solid platforms, she looked like a skeleton; a ‘grass cutter’ was the term the fair boys used. Grass cutter! Bloody hell, my lawn mower had more metal than this ride. 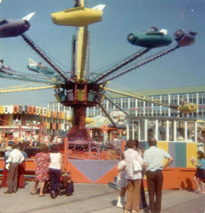 “Please stand clear of the ride, here we go..."
Bored with working in the children’s park, I had nagged Pat Collins to let me work as a money-taker on the Vampire Jets and I must admit he was very reluctant to agree. Female money-takers just didn’t exist back then. 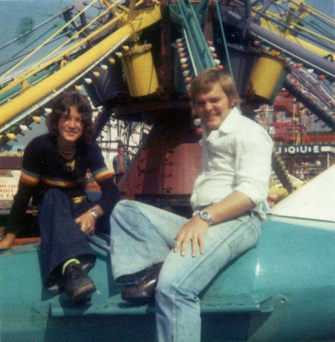 When the season drew to a close, Dave went back to college, never to return to the fair. Karl worked one more season before leaving for good. 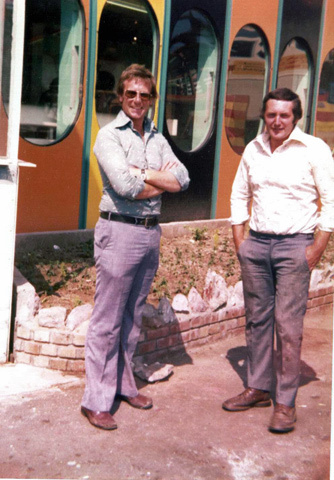 Pat Collins & John Wall (Fun House behind). 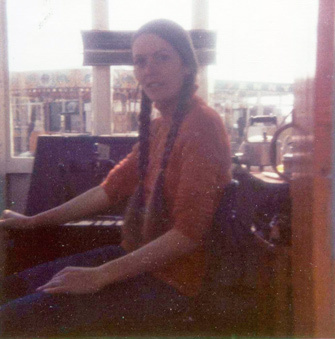 Me in Vampire Jet pay-box 1974.